The presidential office Cheong Wa Dae on Friday replaced the nation’s top two economic policymakers -- Deputy Prime Minister and Finance Minister Kim Dong-yeon and presidential chief of staff for policy Jang Ha-sung -- amid persisting skepticism over the country’s struggling economy. 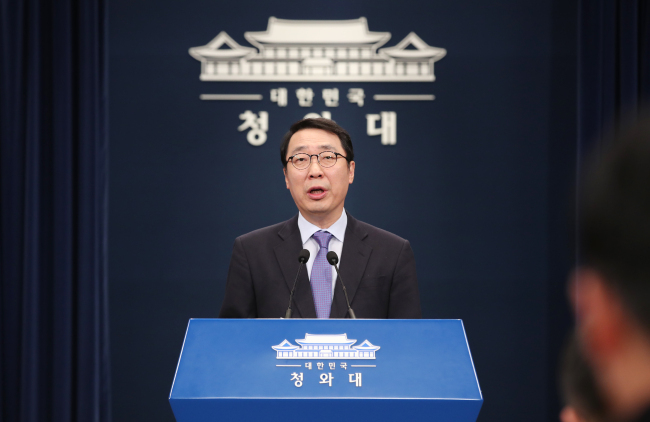 Minister Kim is to be replaced by Hong Nam-ki, chief of the Office for Government Policy Coordination, while Jang’s post is to be filled by Kim Su-hyun, senior presidential secretary for social affairs, spokesperson Kim Eui-kyeom said in a briefing. Having served as presidential secretary under the former Roh Moo-hyun administration and the former Park Geun-hye administration, Hong is considered a balanced figure in financial bureaucracy who is apt at policy coordination between government departments, according to the Blue House. Hong’s current post is expected to be filled by Noh Hyeong-ouk, deputy chief of the Office for Government Policy Coordination. The possibility of Finance Minister Kim’s replacement had been speculated for months, as Asia’s fourth-largest economy continued to struggle, especially in terms of job indexes. He also came under fire for his apparent conflict with the Blue House policymaker Jang, which was seen as a setback to President Moon Jae-in’s drive for innovative growth. 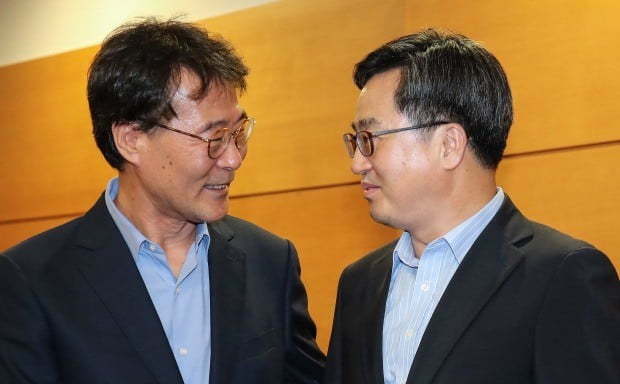 Jang, who has been steering Moon’s income-led growth initiative, will be replaced by Kim Su-hyun, a choice which some opposition lawmakers saw as a meaningless gesture as the two have largely been working as a team over the past months. Kim's position will be filled by Kim Yeon-myung, professor of social welfare at Chung-Ang University.